Mulaney is smart, self-assured, apparently well adjusted, and fluent in the vernacular of white middle-class American life. Why See John Mulaney and Pete Davidson? Get ready to laugh till you cry in the company of Hollywood heavyweight comedians Pete Davidson and John Mulaney. United by their work on SNL - Mulaney rose to prominence as a show writer, simultaneously honing his live stand up skills on the NYC club scene, whilst Davidson rose up the TV ranks to become a current cast member of the popular live sketch show - the duo also share in a firm bromance that makes them perfect co-headliners! Together these punchline-packing stand up heroes represent the new school of American comedy, one that is unafraid to pull no punches and tackle the taboo, the political and even their own lives. 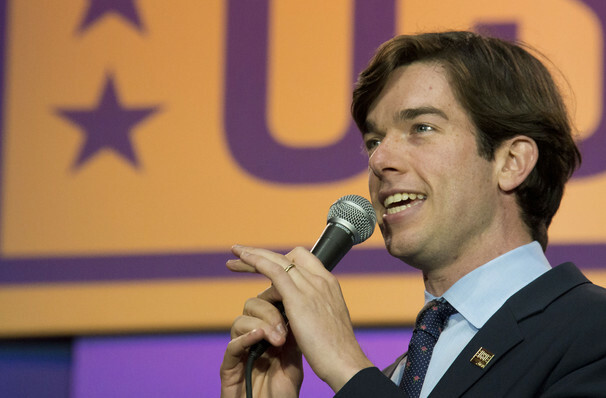 A three time Emmy winner, Mulaney's stand up routine is built from the razor-sharp comedy writing that first got him noticed on SNL, fusing the surreal with the topical as seen his comparison of Trump and a horse loose in a hospital, or off-the-wall characterisations like his JJ Bittenbinder bit. Davidson takes a slightly more laidback, stoner comedy route, layering self-deprecation with a razor-sharp observational humour that leaves no one unscathed, not even himself! Sound good to you? 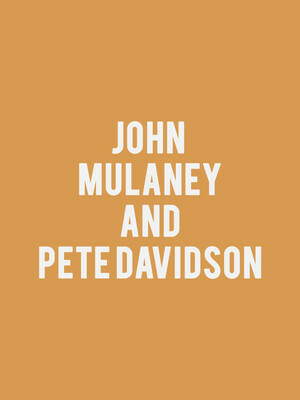 Share this page on social media and let your friends know about John Mulaney and Pete Davidson at Count Basie Theatre. Please note: The term Count Basie Theatre and/or John Mulaney and Pete Davidson as well as all associated graphics, logos, and/or other trademarks, tradenames or copyrights are the property of the Count Basie Theatre and/or John Mulaney and Pete Davidson and are used herein for factual descriptive purposes only. We are in no way associated with or authorized by the Count Basie Theatre and/or John Mulaney and Pete Davidson and neither that entity nor any of its affiliates have licensed or endorsed us to sell tickets, goods and or services in conjunction with their events.